"I am the way, and the truth, and the life." The one thing that distinguishes Christianity from all other religions is that it uncompromisingly seeks the truth. It is from within Christian society that the scientific method developed. Why didn't this develop in other cultures that held other religious beliefs? It certainly wasn't because of a lack of technical sophistication. It wasn't out of a lack of understanding of mathematics or physics. Many ancient societies had very sophisticated understandings of those basic sciences. It is because those religious belief systems were not based on the divine truth. Ultimately, those religions were philosophical systems which required that the facts be twisted in order to fit into a humanly created concept of truth. But because Christianity is born of the truth revealed by the Son of God, it was able to transcend human truth and gave birth to the modern sciences. It is not by denying God that man finds the truth, but by seeking the face of God. The modern sciences have revealed physical truths that were hidden from the greatest intellects of the ancient world. They were unable to progress in their pursuit of the sciences not because of a lack of technology, but because of a form of intellectual and spiritual blindness. 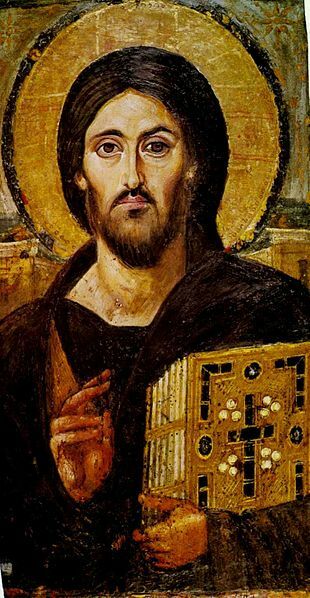 Jesus, who restored the sight to a man blind from birth, opened the eyes of Christian scientists so that they could see the truth that was always present. When Jesus healed the sick it was not in order to bring fame to himself, but so that the people of his time would come to believe in the one true God. And so perhaps when Jesus through the Holy Spirit revealed to Christian scientists truths that had remained undiscovered throughout the history of man, it may have been as a sign so that the people of the world would come to see Christianity as the one true religion. Jesus refers to the Holy Spirit as the "Spirit of truth". There is one truth that rules the universe which is God. When God created man, He created us in His own image. And the universe is also created in way that reflects His truth. If we find beauty in the universe, it is because there is beauty in the fundamental truth which is God. Physics teaches us that the universe is both simple and profound. No matter how much we learn about the basic building blocks of nature, there is much more to be learned. When we think we are approaching a fundamental understanding of physics, suddenly a whole new door opens which reveals new secrets but also reveals new unexplained mysteries. At any time in our past, man's knowledge of the universe was only a sliver of what we know now; and our present scientific knowledge is only an infinitesimally small sliver of God's truth. You would think that scientists would be the first to appreciate this. But once again, Stephen Hawking has come out with a statement denying the existence of God. "There is no heaven or afterlife for broken down computers; that is a fairy story for people afraid of the dark." How sad that Hawking can not come up with a better vision of a human brain than a computer. In so doing he attempts to convert mankind – the ultimate creation of God – into simply a machine. Hawking's vision lacks a soul. Christianity is primarily concerned about the spiritual truths, because these truths transcend the physical truths. The scientific truths which we discover in the laboratory are mere physical manifestations of God's truth. They can never refute the eternal spiritual truths which Jesus taught us in His short time here on earth. Without knowledge of the afterlife, life here on earth is without meaning. It is only when we realize that our earthly life is a pilgrimage towards Heaven that we can truly come to understand God's purpose for our lives. Our lives are meant to be a preparation for our meeting with the God who created us. Our earthly lives are short, but our heavenly afterlife lasts forever. It is better to sacrifice for a short while than to suffer for all of eternity. Is Hawking trying to tell us that rather than be "afraid of the dark" that we should embrace "the dark"? And what do you make of this cryptic answer from Hawking to the question "Why are we here?" "The universe is governed by science. But science tells us that we can't solve the equations, directly in the abstract. We need to use the effective theory of Darwinian natural selection of those societies most likely to survive. We assign them higher value." It seems to me that there is more than a hint of eugenics (and possibly transhumanism?) in the strange phrase "Darwinian natural selection of those societies most likely to survive". It's odd that it doesn't seem to occur to Hawking that an unborn child that was found to be genetically susceptible to "motor neuron disease" might very will be the victim of "selection". He would not be assigned "higher value" but instead be "selected" for an early death based on "scientific" Darwinian principles. It is only through God's mercy that such a child would be allowed to live a full life. Hawking was diagnosed with motor neurone disease (MND) at the age of 21. MND is typically fatal within 2–5 years. I'm sure there are many people praying for a conversion of the heart for Stephen Hawking. In the past he has been more open to the idea of God the creator. And I suppose it is no coincidence that the secular media plays up the atheistic comments of a well-known scientist. Most likely if he were to speak of his profound belief in God, then the mass media would pay no attention. It just would not fit the secular humanist agenda which the popular media has totally bought into. It is sad because Hawking statements are an example of a disturbing trend towards a militant atheism that is not just satisfied with expressing doubt in the existence of God, but demands a total denial of God. I am reminded of the readings from Sunday's Mass. If you think of sin as turning away from the truth of God, then you can see how seeking the truth leads us to God. And conversely how seeking God leads us to the truth. They are one and the same. "Let all the house of Israel therefore know assuredly that God has made him both Lord and Christ, this Jesus whom you crucified.... Save yourselves from this crooked generation." Christ also suffered for you, leaving you an example, that you should follow in his steps. He committed no sin; no guile was found on his lips. "All who came before me are thieves and robbers... I am the door; if any one enters by me, he will be saved.... I came that they may have life, and have it abundantly." He also noted that modern science, for all its important advances, had become the foundation for a world in which the question of God was no longer relevant. In such a world, he said, even believers were expected to live as if God did not exist. This reconciliation, he explained, is an urgent task in a world that is quickly acquiring new technological abilities, while losing touch with its moral sense. Public Vigil updates are now available via Twitter!